The Slow Readers Club announce new single and launch night. 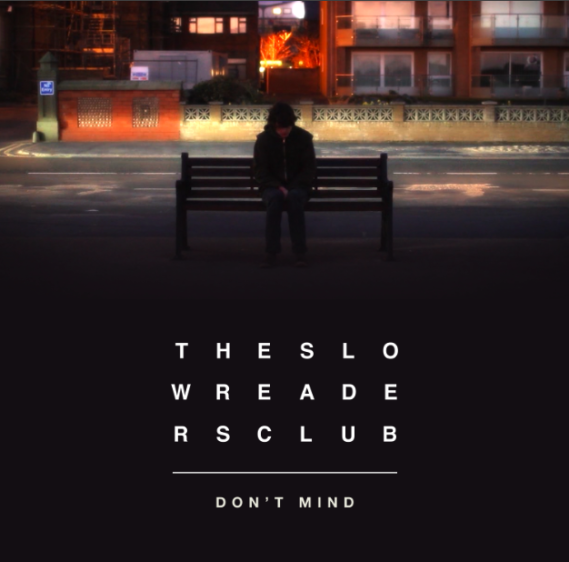 Following on from the release of Start Again, a fan favourite and featuring regularly on 6Music, comes the second single of the year from The Slow Readers Club. Stuart Ralston has given the new song a spin. The Slow Readers Club have had a busy and productive year so far. Well received gigs in London and many in the North West have helped confirm their reputation as one of the finest bands to emerge from Manchester in years. Their crowds have steadily grown and at every gig, there is a real buzz about them. Deservedly so. Fresh from triumphant festival performances at Stockport's Blackthorn Festival, Sheffield's Tramlines Festival and a headline appearance at The King's Ransom Pop Up Festival in Sale, new single Don't Mind sees the band in reflective mood and is a departure from their last two singles Forever In Your Debt and Start Again. A staple of live sets this year, Don't Mind is a Smiths influenced, introspective ballad, which tells the story of the end of a relationship, in which Aaron Starkie pours his heart out. Don't Mind cements his reputation as one of Manchester's finest lyricists. The excellent Jammerzine are streaming the single here. "There's nothing left to talk about, there's nothing here at all" sings Starkie. Like James and The Smiths, The Slow Readers Club have the ability to turn sad sentiments into beautifully uplifting songs. The Slow Readers Club back catalogue is already a strong one. Don't Mind is an excellent precursor for their second LP due soon. Don't Mind is released digitally on September 22nd and the band celebrate it with a launch night at Manchester's Night and Day on September 20th.